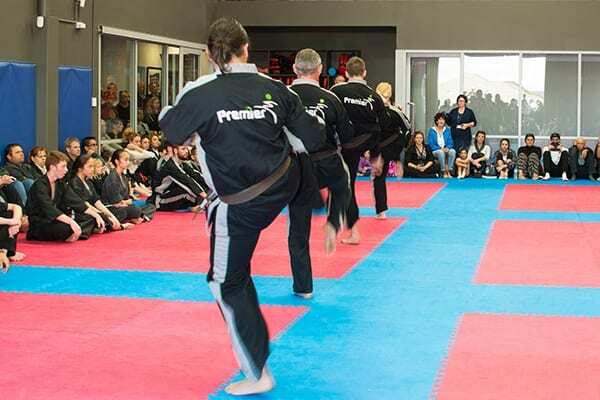 The Premier Martial Arts and Fitness Academy Demo Team is an elite squad of students who wish to take their martial arts skills to the next level. 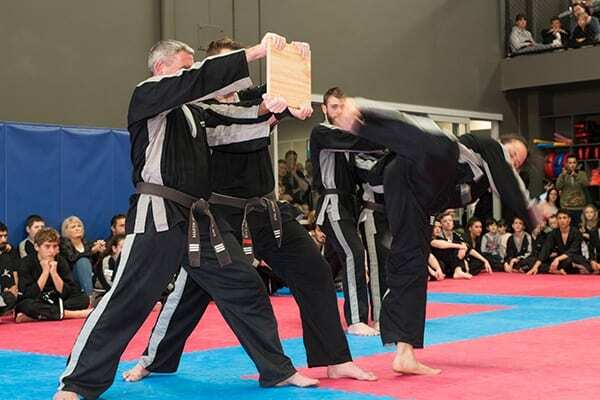 They learn advanced and spectacular martial arts techniques, as well as the elements of performing these techniques to an audience. Team members practice advanced kicking and board breaking, rolling and tumbling, as well as dramatic and humorous skits. There is a special training session every Saturday for the Demo Team, and they perform regularly at Academy and Community events. They have performed at primary schools, gala balls, gradings and open days. The Demo Team has even performed at the State Natural Body Building Championships in front of over two thousand spectators! Admission to the Demo Team is by invitation only. Once you have been accepted into the team you must commit to training regularly to be eligible to be selected to perform in demonstrations. The Premier Demo Team performed at the Mindarie Festival today, putting on an inspiring show of punching, kicking, self-defence and board breaking!